The Principals Advisory Council (PAC) meets regularly with the building administration and with Dr. Collins. These students help with the decision making process about policies, practices, and new initiatives at South. 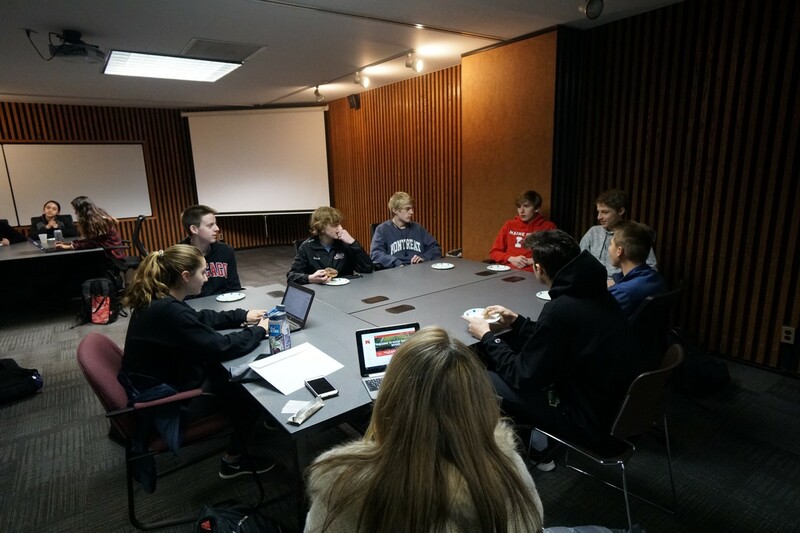 Participation at all meetings and sessions is required and students should consider their own ability for a work load that allows for membership. There is no GPA requirement and students are selected to represent the entire population to the greatest extent possible. PAC executive board members are chosen once the membership is set in the Spring each year. All sophomores through seniors are eligible for participation. If you are interested in applying for membership for the 2019-2020 school year please complete this form by the end of the school day on April 17th.